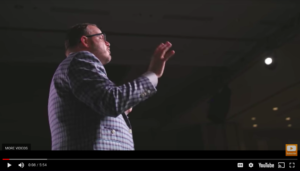 Internet pioneer, entrepreneur, and New York Times best-selling author Jay Baer shows companies how to create marketing, customer service, and customer experience that customers love enough to talk about. And when your current customers talk, new customers follow. We are thrilled to announce the launch of Jay’s new website and video at www.JayBaer.com. In addition to his one-of-a-kind speaker reel, each of Jay’s programs have their own video trailer as well. Interested in learning more about Jay’s programs and how to get more customers for free? Contact Michelle Joyce or visit www.MichelleJoyceSpeakers.com for booking information!